Our traffic ticket experts in St. Thomas have been helping Ontario drivers for over a decade. If you need help protecting your demerit points and defending your Careless Driving, Stunt Driving, Speeding Ticket or any other traffic ticket, contact us today for a free, no obligation consultation. Our team of experienced Traffic Court Agents can help you protect your driving record, demerit points and your insurance rates. We offer affordable, professional representation. We charge a one-time fee to defend your St. Thomas traffic ticket from beginning to completion. in the St. Thomas Area for a Free Consultation Today! No appointment is necessary. 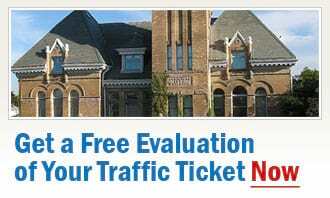 Simply come to our office, call us, or e-mail us for your free, no-obligation traffic ticket consultation. By choosing Ticket Defenders®* to handle the defence of your traffic tickets in the St. Thomas Court for you, you can rest assured that your matter is going to be handled professionally, by someone who knows the system.